The Santa Clara High Tech Law Journal is a progressive legal publication that has continued to maintain a strong presence after 30 years. We are happy to bring to the Silicon Valley an unprecedented event: Open Source in the Legal Field. Open source is “software is software that can be freely used, changed, and modified by anyone;” the code is distributed in compliance with open source licenses. 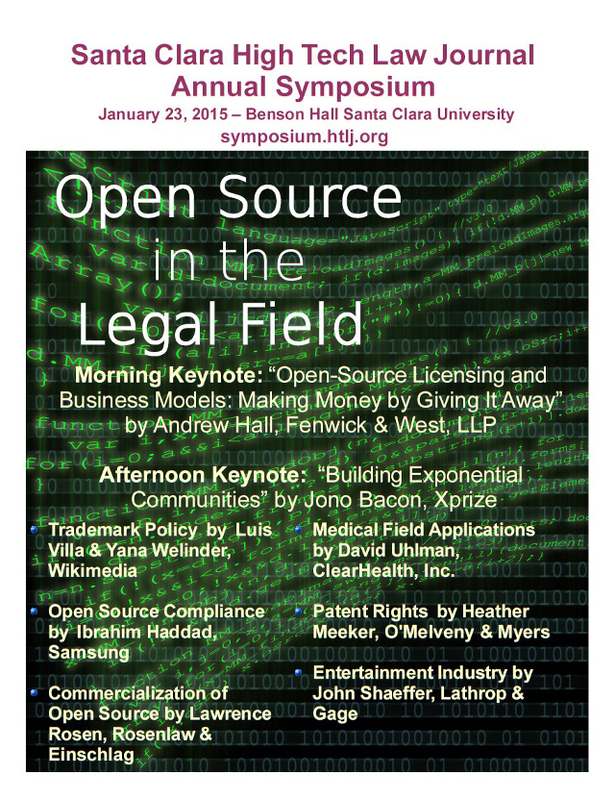 The Symposium will teach practitioners how to better solve open source related issues. This is a CLE-accredited event, and informative for lawyers and advisors interested in learning more about: compliance, trademark policies, patents, gaming industry, medical field, and commercialization of open source, among other topics. We strongly encourage engineers, academics, policy advocates, entrepreneurs and law students to attend.